I am a Notary Public in the States of Pennsylvania and our reciprocal State, New Jersey. I provide Signing Agent services to leading title companies, lenders, attorney offices and signing companies. I also provide general notary work to the public at large in both New Jersey and Pennsylvania. I do not provide license plates but I may notarize motor vehicle titles for the purposes of transferring title. A Notary Signing Agent is hired as an independent contractor to ensure that real estate loan documents are executed by the borrower, notarized, and returned for processing on time. 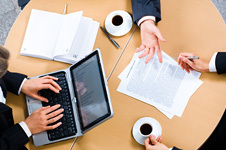 Completing this critical part of the loan process enables the loan to be funded. 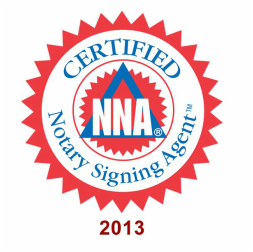 It is required that a Signing Agent pass a course test administered by the National Notary Association. As an independent paralegal, my company, Affordable Trial Paralegal, also provides services to attorneys and I will also assist you with many legal issues you may have, however if you're representing yourself pro se; I can not act as your attorney, nor can I create legal documents because that is punishable as a violation of the unauthorized practice of law statute (204 Pa. Code Rule 5.5). I can however, provide you with forms required for you to appear pro se that are ordinarily given to you at the Clerk's office, notarize affidavits in support of your complaint, take sworn depositions, or in some instance represent you in administrative hearings such as for welfare or social security filings. 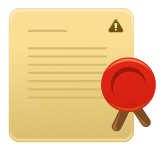 If you're a potential customer, this site describes my mobile notary services, inspection services, merchant service inspections, and documentation required at a loan signing. I look forward to helping you reach the goals you so deservedly have worked to obtain. Notary Signing Agents, Notary Public Commissions, Notary Loan Signings, Reverse Mortgages, Refinanced Mortgages, Mobile Notaries, Compliance and Regulations, Electronic Documents and Signatures, and all your Notary needs and Independent Paralegal Services. Located in Bristol County, PA, I service areas in Bucks, Philadelphia, Montgomery, in Pennsylvania and Burlington or Mercer Counties in New Jersey.